Voting Bureau in Mbuji Mayi. Image credit Myriam Asmani via MONUSCO Flickr. 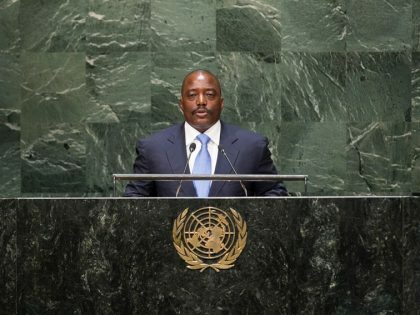 At 3am on January 10th after yet another “glissement” (a polemical term deployed in Congo to describe the many postponements that have marked the DRC electoral process, which originally was supposed to take place in December 2016), something historic happened in the Democratic Republic of Congo. Félix Antoine Tshisekedi Tshilombo, the son of long-time opposition leader Etienne Tshisekedi, and leader of the Congolese opposition party UDPS, was declared winner of the Congolese presidential election by Congo’s electoral commission (CENI), marking the first peaceful transfer of power in the country’s history since its independence in 1960. But this is not the only reason why CENI’s announcement is historic. Tshisekedi’s (surprise)-victory also marks the first-time an African president appears to have rigged an election, not in favor of his hand-picked successor (the widely unknown PPRD politician Emmanuel Shadary), but in favor of an opposition politician. Martin Fayulu, another long-time opposition politician, and candidate of the coalition LAMUKA (supported by exiled Kabila adversaries Jean-Pierre Bemba and Moïse Katumbias well as an ensemble of other political parties), led most opinion polls prior to the election. More importantly, the Conférence Nationale Épiscopale du Congo (CENCO), indicated to diplomats after the election that Fayulu was the clear winner according to its parallel vote count compiled from over 70% of all voting stations. It mattered, as CENCO, the most important organization of the Catholic Church in the country (more than half of all Congolese identify as Catholic), had the largest accredited election observer mission throughout the country and is widely respected for its political independence. Though polling data should always be treated with caution, especially in a country like the DRC, Pierre Engelbert’s detailed analysis of prior polling data highlighted that Tshisekedi’s victory was statistically improbable (to say the least). In the lead-up to CENI’s announcement several more or less plausible rumors started swirling around Kinshasa that Kabila and Tshisekedi struck a power-sharing agreement that could make Tshisekedi president. The precise terms and robustness of this arrangement remain unknown, and have been subject to much speculation both nationally, and internationally. Litsani Choukran, editor-in chief of Politico.CD, one of the most vibrant Congolese media sites that is widely-respected for its political independence, hinted that a deal was finalized on the night of January the 8th. More importantly Choukran argued that from Kabila’s perspective, a negotiated Tshisekedi victory would still allow his ruling coalition (FCC) “to dominate the political scene,” while also being able to informally remain in control of the DRC’s powerful and influential armed forces. Unsurprisingly, according to this reading of events, CENI not only announced Tshisekedi’s victory, but simultaneously announced that Kabila’s ruling FCC coalition would control 22 out of 26 provincial legislatures. A few days later, CENI also announced that Kabila’s FCC would control 70% of the national parliament (without taking into account the 15 MPs from the excluded districts of Beni, Butembo and Yumbi). Though the FCC has fielded more candidates and spent more money on campaigning than other coalitions, it’s hard to imagine a scenario in which 73.7% of voters could reject the FCC presidential candidate, while simultaneously voting for a 70% FCC-controlled parliament. Given that Tshisekedi’s victory is predicated on the legitimacy of the electoral commission, it is unlikely that his coalition (CACH), which according to CENI actually lost parliamentary seats vis-à-vis the 2011 elections (! ), will contest the results. Fayulu filed a complaint with the constitutional court to contest the outcome, but given that the court is stacked with Kabila loyalists, it is unlikely that the complaint will get a fair hearing. The European Union and the South African Development Community (SADC) have urged CENI to publish results by voting station to “render the process more transparent,” but as Choukran recently tweeted, the international community, as well as regional brokers, tend to prioritize stability over democracy. The Congolese opposition’s inability to confront the Kabila regime and its manipulation in a united fashion will likely rob the Congolese people of any prospect for systemic change. An opposition agreement brokered in Geneva on November 11th, in which opposition elites pledged to support a common candidate for the presidency, lasted a mere 24 hours (!) 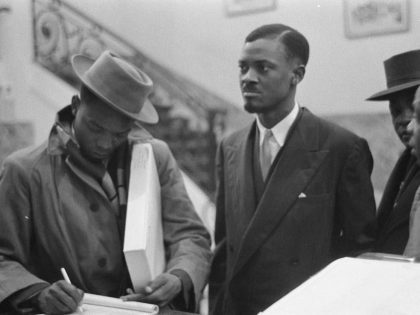 before Tshisekedi and his running-mate Vital Kamerhe dropped out. Yet, as Jason Stearns from the Congo Research Institute, and many other Congo observers stress, it is important to underline that the announcement of Tshisekedi as winner of the presidential elections did not constitute Kabila’s Plan A. Kabila’s multiple attempts at altering the constitution were repeatedly thwarted by heroic activism, popular mobilization, and civil disobedience. The Catholic Church, as well as a range of civil society organizations (especially Lucha and Filimbi), spearheaded this popular resistance, which prevented the same constitutional changes recently witnessed in neighboring countries that allowed Pierre Nkurunziza in Burundi, and Dennis Sassou-Ngessou in the Republic of Congo to remain in power. Many Congolese paid the highest price for these elections. Luc Nkula (aged 33), Rossy Mukendi (aged 36), and Dechade Kapangala (aged 24) are just a few names on a long list of mostly young activists who sacrificed their lives for the possibility of free and fair elections and political change in the DRC. The election process itself, which was pushed back from its initial date of 23 December 2018 to the 30th (of course there had to be another “glissement”), was riddled with irregularities and organizational failures. The cities of Beni, Butembo, and Yumbi, widely considered to be strongholds of Fayulu, were excluded from the vote allegedly due to risks associated with the Ebola outbreak in the region. Yet, a couple of days prior to this announcement, the Congolese Health Minister indicated that he saw no reason as to why Ebola should complicate or frustrate the vote. In a powerful and symbolic act of defiance, Beni still organized its own presidential elections, which according to some observers, were better organized, and more transparent than the actual elections. 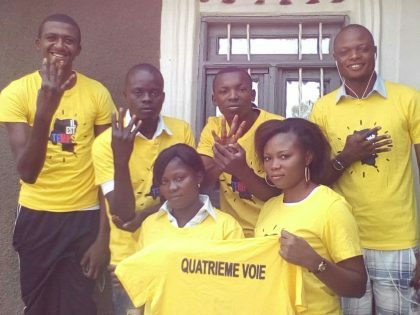 Throughout the rest of the country, malfunctioning or missing voting machines (544 in total), and missing voter tallies prevented many Congolese from voting, as many voting stations did not open on time (some as late as 6pm) (see Timo Mueller’s detailed thread documenting a range of voting irregularities). Like other African governments (in 2016 alone the internet was shut down 54 times in 27 African countries), the Congolese government felt threatened by social media scrutiny, as unverified electoral results showing opposition victories were posted from voting stations all over the country. The internet remained shut down on New Year’s Eve, and although some Congolese found loopholes to the shutdown, the social, humanitarian, and economic costs of the shutdown kept mounting. 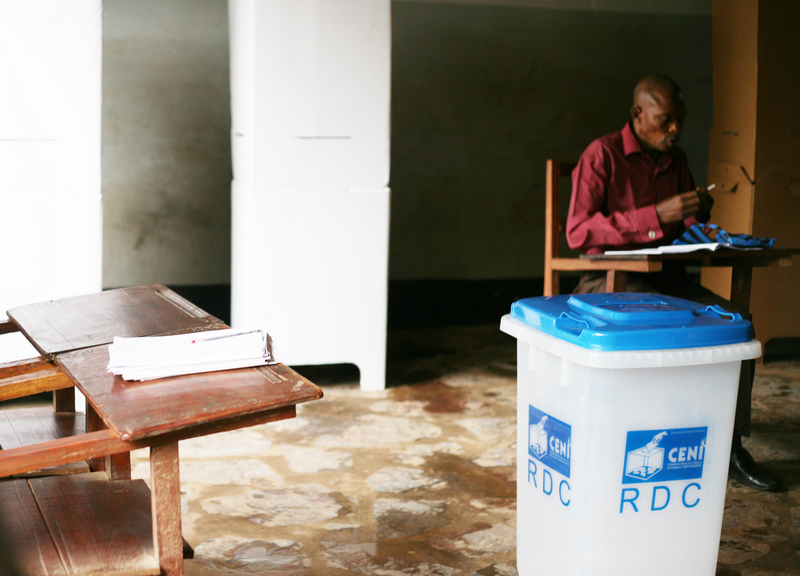 But where will this unprecedented conundrum of an electoral crisis leave the DRC? As the last 3 years of Congolese political rollercoaster have displayed, almost everything is contingent, as many actors’ objectives, agendas, and power relations can evolve quickly. It is hard to predict the prospects of a Tshisekedi presidency without knowing the terms and robustness of his agreement with Kabila. Some questions to consider are: To what extent does he have a defined project for the country’s future? 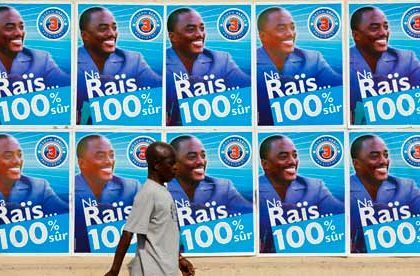 How adept is he at navigating the DRC’s political economy, which is characterized by constantly shifting political alliances, and networks of resource extraction? How cohesive will Kabila’s FCC coalition be after Kabila’s presidency has ended? 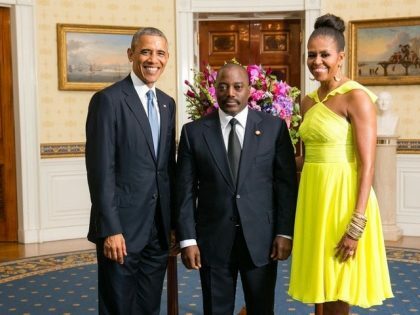 What role will Kabila play, given that as an ex-president he will also be senator for life? The greatest hope for the DRC’s future stems from movements such as Lucha or Filimbi, who consistently encourage the Congolese to reject la politique du fait accompli and confront mediocrity in all its forms (and from all political parties, including the opposition). 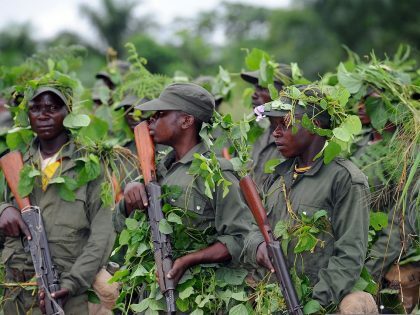 This is important because the DRC’s challenges are tied to-but go way beyond-Joseph Kabila: Over 75% of the DRC’s population lives in extreme poverty, 4.5 million are internally displaced, and there are 120 armed groups in the two eastern Kivu provinces alone. What Congolese people finally deserve is systemic change, and accountable political leaders, whose main objectives are to increase the standard of living and quality of life of their constituents. Unfortunately, this prospect appears as distant as ever, but I pray that Felix Tshisekedi will prove me wrong.